Let us understand all about the employee compensation and benefits. Employee compensation is always a sensitive subject to talk about, and many companies struggle to figure out the right compensation plan for their business. There are many HR related concerns and financial decisions for each compensation plan. In short, employee compensation is more than the amount you pay to an employee, and there are many other costs to consider from taxes and updating the cap table to choosing the right plan for your business structure. By now, you have learned about the different types of employee compensation and the forms of equity plans. The questions about employee compensation always arise with any organizational restructuring. After all, for building a team and growing the company, a well-defined compensation structure is crucial. In the end, when the benefits to staff and the company align, it would reflect in company growth and success in the future. Let us understand all about the employee compensation and benefits in the next section. Employee compensation is basically the payment that is given to an employee for their work and contributions towards the organization for helping it grow. In short, they are paid to do their job. There are two types; base pay and variable pay. The base pay is a fixed payment for a period of time. An example of this is salaries or wages. Variable pay is provided when a milestone is completed and the project is successful. This is mostly based on the performance of a person. Incentive plans, bonus plans, commission plans are a form of the variable pay. There are a few programs that have both the variable payment and base payment for the job descriptions. Companies usually associate the payment as per the skills, experience, studies and even the job requirements. For each job, there is a range of amounts that an employee can earn in a year in the specific role. Benefits are usually expensive for companies that offer these to their employees. Because of this, the benefits that employees get in a company can range, and not everyone receives them. Newcomers and junior staff normally are not given employee benefits along with their salary as employee compensation. Benefits are forms of value other than payment that are offered to the employees in return for their dedication and successful contribution towards the organization. The benefits like worker’s compensation is more of a right than a benefit. The main examples of these as employee compensation are bonuses, stock options, profit sharing, contribution to retirement (pension pay), maternity leave, holiday pay, vacation pay, and insurance (medical, life, dental, and disability). But with the changes in the business world, the traditional ways are shifting, where skilled and senior mostly expect to get more than just a salary as their employee compensation. The kind of benefit that many look for is to own shares of the company or to get a part of the equity benefits that the shareholders get. As the employees expect this, many companies are offering these benefits so that they can retain good employees and attract the best talent for their companies. The following would explain in brief about stock options. A lot of the businesses out there, mostly startups, tend to share the ownership of the company with employees. This is normally done with the help of the stock options, or by giving shares to the employees. But this is not that easy as there are many restrictions added to this. The company has to undergo many legal costs and complexities for various plans under equity employee compensation. Out of the various number of plans, take time to choose the most suitable employee compensation package for your type of situation or company. But what kind of strategies are available for your company? Keep reading to know more. Why share Ownership as Employee Compensation? For tax benefits: There are a few employee ownership structures that are eligible for the tax benefits. To make the business perform better: From previous studies conducted, it was indicated that on average, the employee-owned firms usually perform considerably better as compared to standard companies. To raise capital: When the company needs capital, there are employees who are willing to contribute towards the company by buying the shares or taking wages that are lower, in return for stock of the company. For shared entrepreneurship: Incorporating a small business might be easy, but running it is difficult when you do not have the best resources. Many companies find that sharing the responsibilities of ownership with the employees lessens the burdens and also ensures that the productivity is at its best. To attract and retain good employees: This is the most common reason why owners usually give out shares as employee compensation to the most talented and senior employees in the company. There are a lot of businesses that have trouble in attracting and retaining the best talent in the industry. With the help of employee ownership as compensation, this problem can be addressed easily. ESOPs, also called employee stock ownership plans, are tax-qualified employee benefit plans where the assets are invested in the employer’s stock. Under this plan, the employees do not buy the shares. Instead, the company contributes cash to purchase its own stock back, offers its shares in the plan, or has the plan borrow money to buy stock with the corporation repaying the loan. Each of these uses have important benefits for the company, the sellers and even the employees. The employees can vest their bundle of shares and get benefits when they leave the corporation. There are some possibilities in companies where they can also gain distributions before they leave the company (while they are working). In the US, there are about 13 million employees in over 7,500 companies who participate in this type of plan. This plan offers employees the opportunity to purchase the stocks, mostly via payroll deductions over a 3 to 27 month period, called the offering period. In this plan, the price of the shares is usually about 15% less than the market price. Generally employees have the choice to purchase the shares at the discounted price in the starting of the ESPP offering period or at the end, which can raise the discount on it further. After getting the stock, employees can either sell it at market price for a quick profit or hold on to it. One thing about ESPPs that differs from stock options is that employees can get a profit from the stock price even if the price has gone down after the issuance date. Companies normally set up ESPPs as tax-qualified “Section 423” plans. This means that every employee who is a full-time worker with more than two years of service would have the chance to participate. This is another equity employee compensation plan that allows the employees to purchase the stock of the company at a particular price during a specified period as soon as the option is vested. Let us say that an employee gets an option on about 100 shares that are priced at $10 per share. If the share price increases to $20 per share, the employee can still exercise the option and purchase all the shares at $10 per share. After buying the shares, the employee can easily sell it back in the market at $20 per share and pocket the difference. But in case the stock prices never rise over the predetermined amount of the option, the employee has the choice to simply not exercise the option. The stock options can be offered to as few employees as you wish as an employee compensation. There are about 9 million employees in thousand companies in the US, both public and private, who currently hold stock options. Stock awards are direct share donations to employees. There are many cases where the shares are only offered when the employee meets particular performance conditions (reaching the goals of the group, individual goals or even corporate goals). These are also known as the performance shares. Restricted stocks offer employees with the rights to get shares by purchasing it at a discounted price or getting it as a gift. 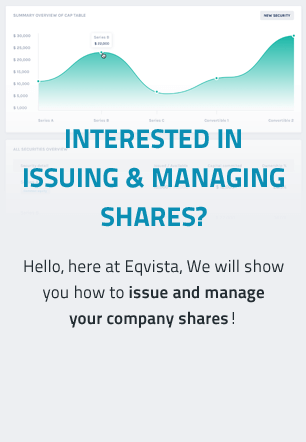 Under this, the ownership of the shares come into the employee’s hands only after a vesting period and certain restrictions are met. Phantom stock pays cash in the future or shares a bonus that is equal to the amount of a specific number of shares. When phantom stock grants are settled in the form of stock, they are known as restricted stock units. For those small private companies with 5-10 employees on a budget, setting up a complex 401(k) plan or ESOP may seem too much. Not only this, but the costs for using these types of employee compensation would cost the company more than it is benefiting it. The best type of compensation for these small private companies could be a yearly cash bonus for good staff performance, as the legal costs for awarding shares may be too much in the beginning. Otherwise, for partnerships of a few founders, the company can elect to issue new shares to these partners, and split any profit or dividends among them. In case the company choose to compensate its employees with shares, it may consider using phantom stocks or SARs, as these are simpler in nature, and do not require any tax payments when granted. However the employees would need to pay taxes on any profit once the awards vest. In case your business isn’t about to experience any liquidity event, where it might go public or gets acquired by another business, then there are several choices for you. Out of all the employee compensation plans, the ESOP offers the most number of tax benefits to both the company and the employees. Here are some benefits of ESOP to make it clearer. Employees do not pay tax on the contributions to the ESOP. They only pay tax on the distribution of their accounts at potentially favorable rates. If the company is an S-corporation, the percentage of ownership held by the ESOP is not subjected to any income tax at the federal level (and usually the state level as well). Sellers in a C-corporation can get a tax deferral. The contributions that are used to repay a loan which the ESOP takes out for purchasing the company shares are tax-deductible. Contributions of stocks and dividends are tax-deductible. The owners gets a long-term financial investor (the ESOP) that wouldn’t attempt to sell the company in a relatively short time. An avoidance of giving out confidential information to a competitor or other potential buyers. An avoidance of combination plans and their associated expenses to reorganize management, restructure operations or reduce staff, as the staff and management continue in place after the transaction closes. A ready-made market for the owner’s stock and ready-made buyer for the owner’s business. A business owner who can easily transition the ownership over time. With all these benefits, this option can be seen as the best one. However, it needs allocations of stock based on a more level formula or on relative compensation, subjected to service and vesting requirements to enter the program. Phantom stocks or stock appreciation rights are the best choice in case you just want to offer your employees with rewards that are based on merit or some other discretionary basis. If we talk about the SARs (stock appreciation rights), the main benefit that allows the employees to stick with the company and would not affect the selling process is that the employees can get the proceeds from stock price increases without their need to purchase anything. The participants are linked to the same business goals as the business owner as they are being compensated with the growth of the company. It helps to increase the production of the company as well as the value. As the awards of both the Phantom stocks (and also SARs) are usually given in cash for the shares and no ownership control is given to the employees, handling of shares becomes easy for the owners who want to sell their companies. If you choose the stock purchase plan or stock options, your business would have to make a stock market that would develop cumbersome and expensive securities law issues. The purchase plans or stock options are customarily used as the management employee compensation in huge companies. The ESOP is the best choice in this case. There are many cases where the ESOP would borrow money for purchasing the shares, but the company might just add cash for multiple years in a gradual sale. The corporation has the choice to use pre-tax dollars to buy out an owner, and the best way to do it is via the ESOP. The owners of privately held companies who are looking to sell their business can use an ESOP to create a ready market for their shares. Contributions of stock and dividends are tax-deductible. The ESOP works well when the company wants to create an additional employee benefit. In short, the shares can be sold or transferred easily, making it better for the sale to take place. In case the company is a C corporation instead of an S corporation, the owner, if all the conditions are met, can avoid paying taxes on the sales gains given when they are rolled over into bonds and stocks of other US operating businesses. Even with all the accounting and stock market rule changes have taken place since the last decade, options are still the best choice if you want to attract and retain the best talent in the industry. A lot of the high-tech workers usually don’t take the job that does not offer them with options. They offer tax benefits. One of the benefits include the fact that there is no tax placed on the shares on the time of exercising and at the time of the grant. The stock options act as a financially rewarding investment for the person who has a long-term financial strategy. It acts as a perfect means to begin a savings plan. The employees would be able to reap gains if the company becomes a success. This would also retain the same talent even when the company goes public. As the company is about to go public at some point, it is the best thing to put up a stock purchase plan for the company to run on. However, there is growing interest in restricted stock and stock appreciation rights as well. The reasons are simple; they have many benefits, thus they are considered as a good option in this case. More tax benefits for both the employees and the owners. No payment needed to receive the shares. RSUs let the business to easily defer issuing shares until the vesting schedule is complete and this assists in delaying the dilution of shares. RSUs do not have a strike price, which is why the employee would stick to help the company grow faster even when it is public. Even though each of the options mentioned here have many benefits, the best one would depend entirely on your company’s plan and financial strategy. The company has a stock market, hence, they do not have to purchase it back from the employees. Hence, the selection process is not about removing the plans that do not work properly, and is more about weighing the pros and cons. Phantom stock, stock appreciation rights, restricted stock, and stock options are especially useful when you are about to hire the employees. And if a company allows the employees to purchase stocks via purchase plans and options, this would further help the growth of the company. However, you must not forget about ESOPs, which is a good plan that is both long-term as well as a tax-advantaged plan. It can help both the employees and the company to develop a true ownership culture. A 401(k) plan with employer stock has become more controversial, with the scandals of Enron and numerous lawsuits of other major companies. This was the case for those not removing the employer stocks in the 401(k) plans or for those who matched this with the company stock. This caused more employees to invest away from the company stock, which took away from the original goals of employee compensation of the company’s shares. There are cases where you would want to have about two types of plans. What you choose would depend entirely on your company’s and employee’s needs and your desires. Create Your Cap Table & Manage It OnlineGET STARTED, IT’S FREE! With all this information, you can easily pick up the right employee compensation plan and begin to structure your cap table as you give out shares of your company after it starts operating. Just ensure that you take the help of your attorney while choosing any plan, so that you are sure is the best one for your company structure. Moreover, always remember to keep the cap table updated. Missing out on important details of share movement may cause headaches for you later on. Check out the mistakes to avoid for cap tables in the previous articles to know better!